2. I know there are some super adventurous couples out there that couldn't care less about a five star hotel and want to explore a new state together while they also say their nuptials. What if you rented out this sweet Airstream off of Airbnb? Would ya? I can meet you there and take photos as you are getting ready and then we drive over to the Sand Dunes (a 45 minute drive) and say your vows barefoot in the sand! The month of May or June would be ideal for the Dunes. 3. Not much into hiking and sleeping in an Airstream? But still want to be surrounding by mountains. The Little Nell in Aspen offers just that. And you really can not pick a bad time to be in Aspen. Obviously Fall is beautiful - but people come to SKI, so why not have a winter wedding...outside. Yeah, I said it. 4. Ok, back to Telluride area. Because, Telluride. Check this spot out - The Observatory at Alta Lakes. It is for weddings up to 40 guest. Or if there are only 6 of you - they offer this backcountry, adventure dining experience. Of course if I am your photographer you would definitely need me to capture this. Haha! Jk. Kind of. 5. Collective Vail, a retreat at 4 Eagle Ranch. I was just doing some research and came across this and I am obsessed. 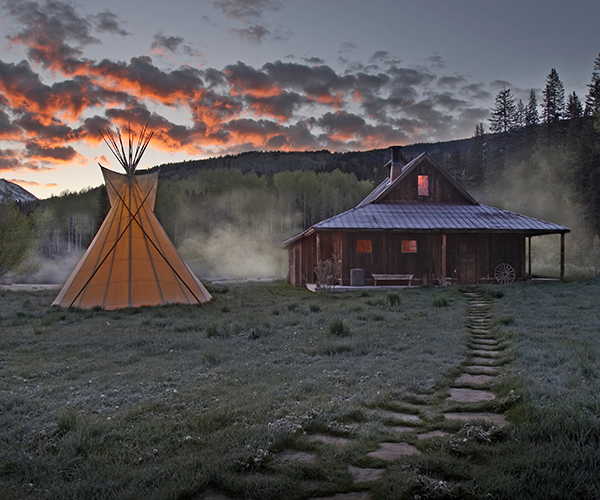 Similar to Dunton - where you stay in super cool tents and they have a chef with hyper-local farm to table meals. Book soon because I'm sure their rates will be going up. 6. Someone's backyard. It's Colorado! Maybe you know someone who has a little cabin outside Evergreen and would happily let you take over for a night. I know a private chef you could hire. And a makeup artist. This is going to be perfect.